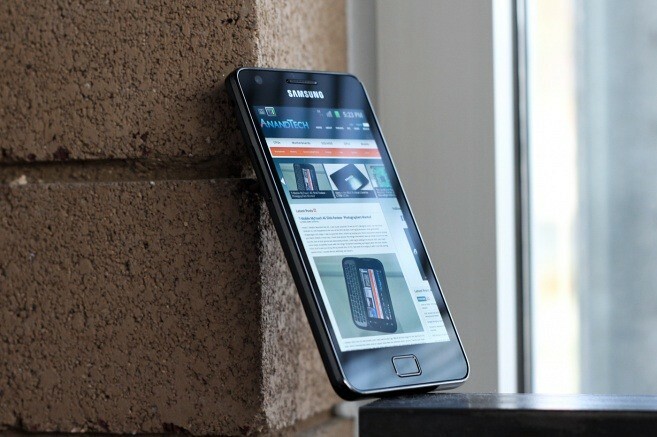 Anandtech has published some interesting findings based on their extensive Samsung Galaxy S II review. It’s the first smartphone to use the graphics processing unit based on the Mali-400 core from ARM Holdings, a fables chip maker from the UK. In fact, Samsung has engineered and manufactured its own system-on-a-chip solution for the handset. Samsung implemented a 4-core version of the Mali-400 in the 4210 and its resulting performance is staggering as you can see above. Although it’s still not as fast as the PowerVR SGX 543MP2 found in the iPad 2, it’s anywhere from 1.7 – 4x faster than anything that’s shipping in a smartphone today. 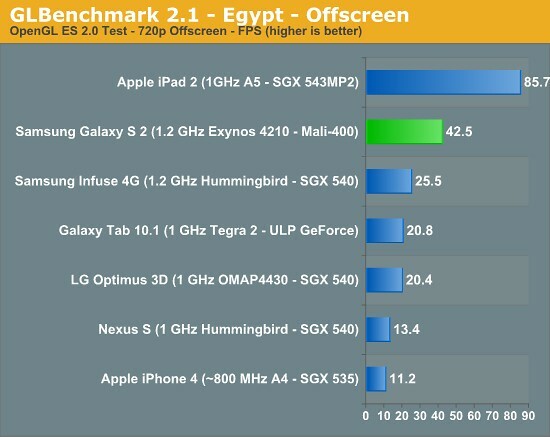 Interestingly, and per the GL Benchmark included below, the Exynos 4210 is more than twice as fast compared to the Galaxy Tab 10.1 that runs Nvidia’s Tegra 2 chip and nearly four times speedier than iPhone 4′s 800 MHz A4 chip that sports the PowerVT SGX535 GPU core. However, the 4210 falls short in the triangle throughput department, a big disadvantage over the iPad 2′s A5 processor that clocks nine times the graphics performance of the original iPad’s A4 chip. Triangle throughput is important in graphics-intensive games and will become key in “future games that may scale along that vector rather than simply increasing pixel shader complexity”. The video of Anandtech’s Samsung Galaxy S II review below..